In the aftermath of Amber's death, Wilson announces his resignation on the season premiere. The team investigates a string of mysterious deaths centering around a single organ donor, and House hires a private investigator to snoop on Wilson and the team. A struggling artist falls ill and the team must use a discerning eye to uncover what may be hiding below the surface. House gets back to his roots and a patient falls ill searching for her own. Thirteen's personal life is brought to the examining room table. The team treats a sleepwalking patient experiencing unexplained blackouts and Cuddy decides to adopt a newborn baby. House and the team treat an agoraphobic patient who refuses to leave his home. A parentless teenager falls mysteriously ill and Foreman takes on a case of his own free from House's supervision. House and Thirteen are taken hostage by a man willing to kill for a diagnosis. House and the team treat a fitness fanatic with a slimming secret. House and the team ring in the holidays with a new medical mystery. Lori Petty Guest Stars. House treats a patient whose chronic pain pushes him to the edge. House tests Cameron's patience as the team takes on the case of a too-good-to-be-true teacher. The team treats a former doctor who gave up her career in the pursuit of happiness. A fake case becomes a real one as the team treats a priest whose past has taken his faith from him. The case of a teenage patient with male and female DNA sends the team in different directions. House and the team treat a patient who uncontrollably speaks his mind. Jay Karnes ("The Shield") Guest-Stars. A woman who believes her cat has predicted her death desperately seeks House's help. Judy Greer ("27 Dresses") Guest-Stars. A man injured in a bicycle accident is "locked in" his own body and needs the help of House and the team to save his life. Mos Def ("Be Kind Rewind") Guest-Stars. House and the team work to keep a husband and wife alive but are forced to make a difficult decision as both patients' conditions deteriorate. Meat Loaf Guest-Stars. Cameron takes the lead when an environmental activist falls mysteriously ill.
House and the team treat a deaf teenager. 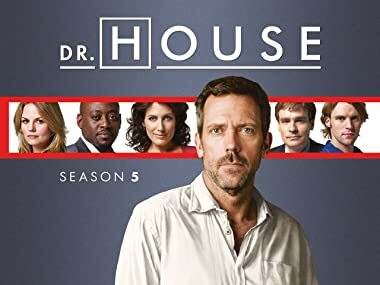 As House and the team try to diagnose a dying ballerina, House attempts to diagnose himself. House takes on a case of mind over matter as a patient's right and left brain struggle for dominance. Carl Reiner ("Ocean's Thirteen") Guest-Stars.